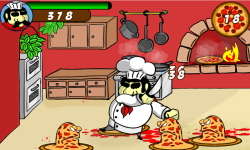 Deadly Horror Pizza virus from secret lab spread over peaceful Italian pizzeria, transforming all pizzas into dangerous zombie kind monsters hungry for human flesh. 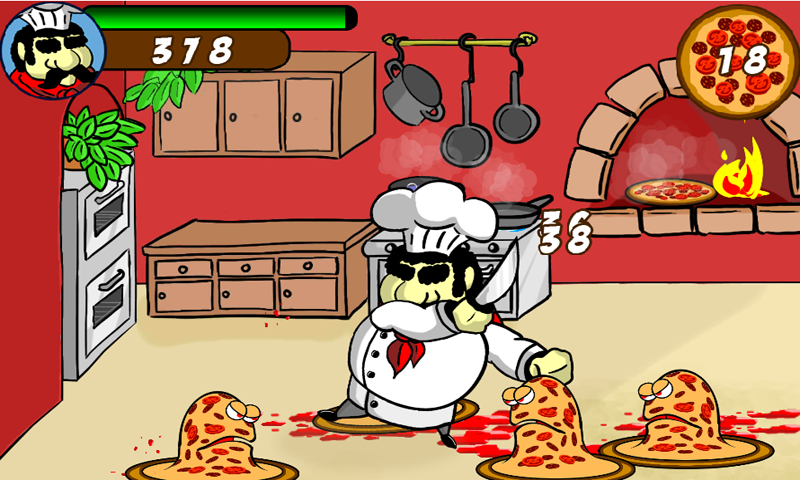 Only Superhero Chief Francesco Pepperoni can fight restless Pizza zombies and save humanity from being eaten alive. 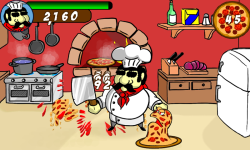 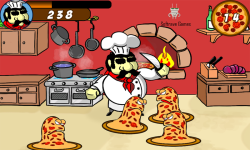 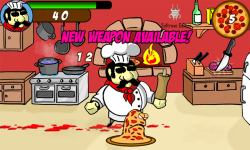 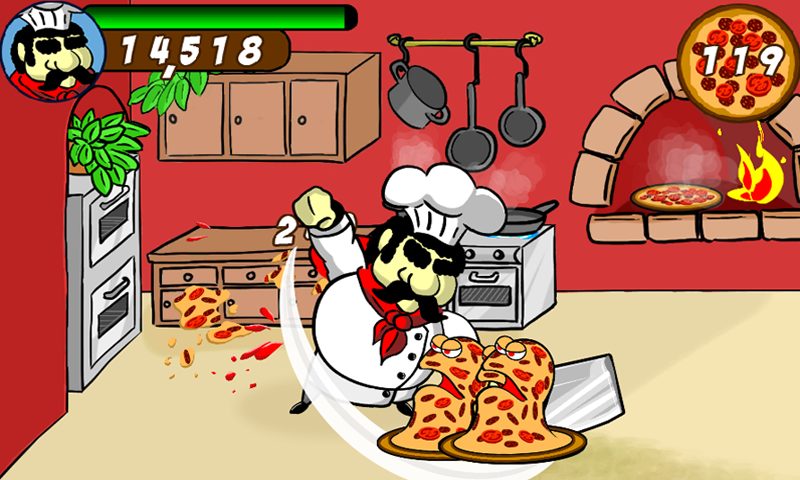 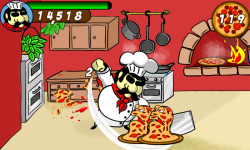 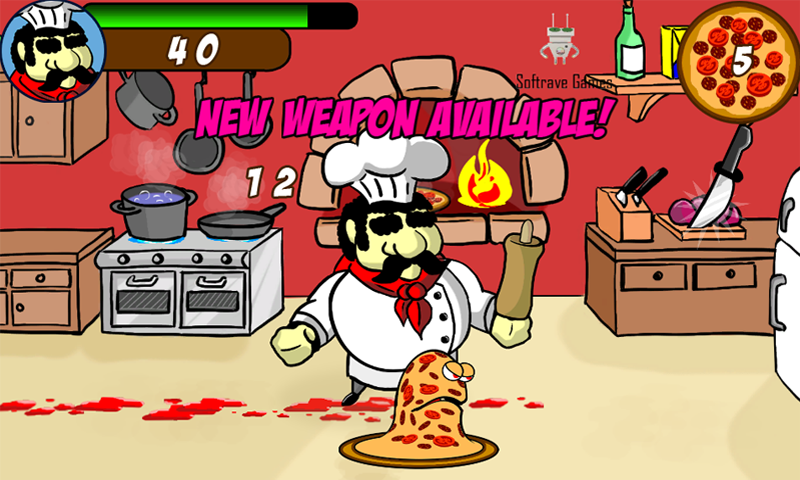 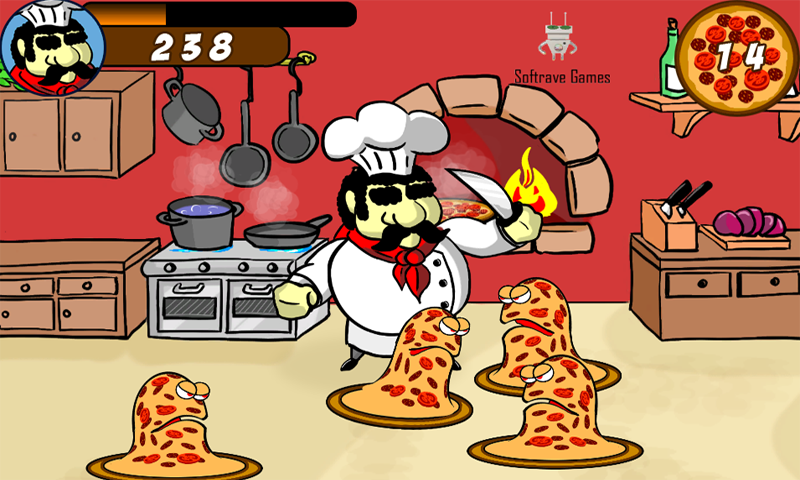 Help him to stop zombie pizza invasion with knife, roller bin and other powerful kitchen weapons.